So during your spring clean you’ve unearthed a pile of unused nappies your little one has outgrown. Instead of chucking them in the bin or tucking them away to collect dust, donate them to families in need through The Nappy Collective. The huge biannual nappy drive stemmed from the common dilemma many of us parents have – a stash of perfectly good but no longer needed nappies taking up precious room in a house, which is likely overrun by toys and kid junk. Unfortunately there are also many families across Australia who don’t share this dilemma and have a desperate need for our oversupply. Babyology has previously promoted this worthwhile initiative and, as we enter the season for spring cleaning, The Nappy Collective director Lisa Simon is again calling on all of us to find, collect and donate our leftover nappies. “People who have donated tell us amazing stories of finding leftover nappies stuffed deep in closets, in the boot of their cars, and at the grandparents’ house,” Lisa says. During the collection drive, The Nappy Collective will cover 44 cities and towns across Australia, where over 390 workplaces will collect hundreds of thousands of leftover, unused, disposable nappies for mothers and families in crisis or need. This is the biggest collective yet, and will run from October 14 to 28, 2016. The Nappy Collective founder Sandra Jacobs says more than 1.4 million nappies have been collected (approximately $630,000 worth) in three years. But she says demand continues to rise from cash-strapped shelters and welfare agencies struggling to purchase nappies for their clients. Nappies collected are distributed to more 150 organisations around Australia that support mothers fleeing family violence and families struggling with homelessness, mental illness, and extreme financial hardship. With babies requiring six to eight nappies a day this vital material aid makes both a practical and emotional impact to the health and welfare of those already in a stressful situation. “The stories from our beneficiaries of mothers lining up and waiting for our nappy delivery so they do not have to pad their babies nappy with paper towel is what melts our hearts, and strengthens our commitment to further expanding The Nappy Collective across Australia, and continuing to help thousands of families in need or crisis,” Sandra says. 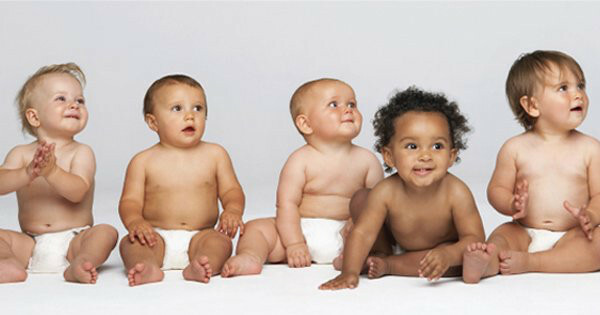 Safe Futures Foundation is just one organisation that benefits from the nappy donations. “The nappies donated have provided our beautiful mothers who come to us, seeking refuge from family violence, one less thing to worry about,” says Safe Futures Foundation’s Diane Corkery.